Lot 17. A painted pottery figure of a court lady, Tang Dynasty (618-907); 35cm (13 6/8in) high. Estimate £6,000 - 8,000. 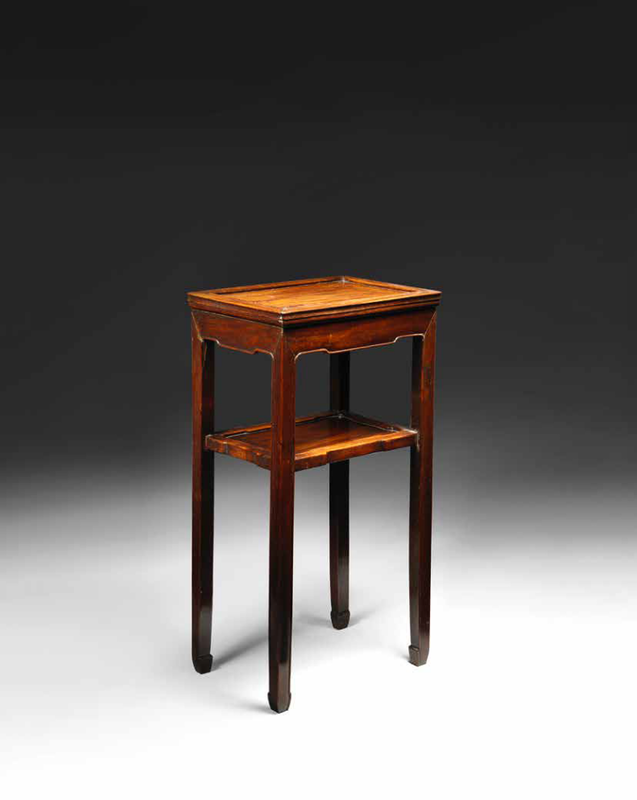 Sold for £ 11,875 (€ 13,623). © Bonhams. Gracefully modelled standing with both hands held in front of the body, wearing loose colourful robes finely detailed with floral patterns and reaching the floor revealing the tips of their pointed shoes, the round face with delicate features highlighted by ruby-red and rosy-pink pigments beneath the hair dressed in a high half-moon-shaped topknot. Note: Facial ornamentation played an important part in the life of the highest-ranking female members of Tang society. Decorative shapes were often applied to the forehead, as displayed on the present figure, whether by means of paint, gold leaf or glued paper. The fashion for forehead decoration appears to have originated during the Six Dynasties period, when one day, a plum flower fell on and stained the forehead of Princess Shou Yang, daughter of Emperor Wudi of the Liu Song dynasty (r.420-422). See E.Schafer, The Early History of Lead Pigments and Cosmetics in China, in Toung Pao, 1956, vol.44, pp.413-438. Compare with similarly red-painted pottery figures of court ladies, Tang dynasty, illustrated by J. Baker, Seeking Immortality: Chinese Tomb Sculpture from the Schloss Collection, Santa Ana, 1996, p.34, fig.17. 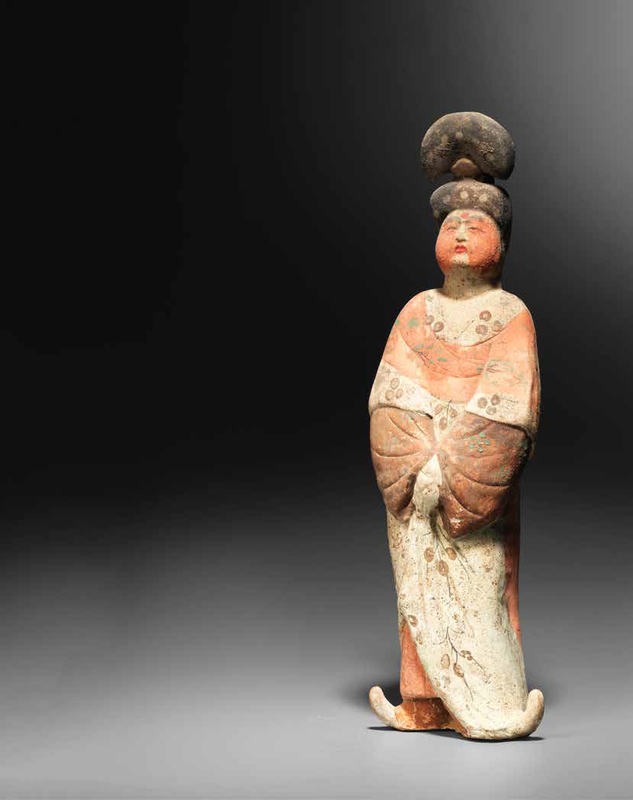 A similar painted pottery figure of a court lady, Tang dynasty, was sold at Christie's New York, 17 September 2008, lot 408. 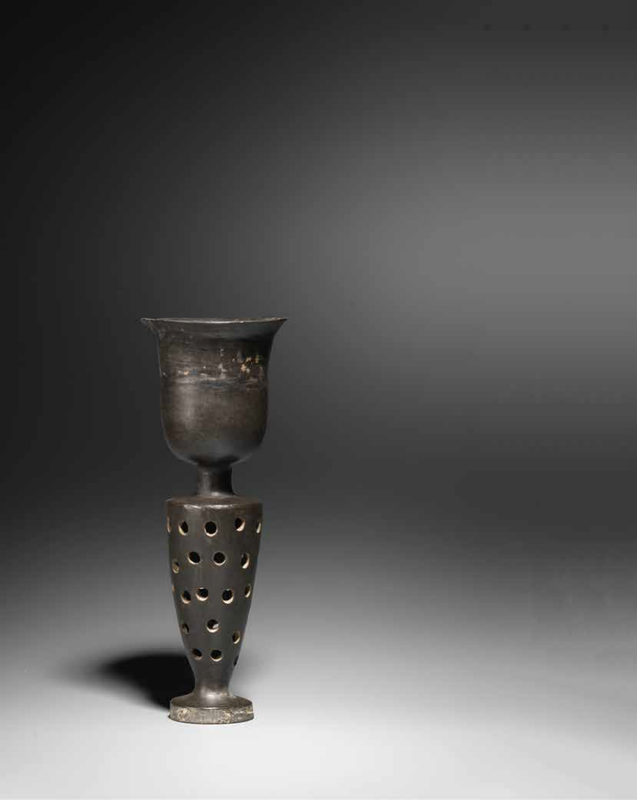 The result of ASA Authentication et Datation d'Objects d'Art et d'Archaeologie par Methodes Scientifiques, Paris, thermoluminescence test no.203 048, dated 10 March 2000, is consistent with the dating of this lot.